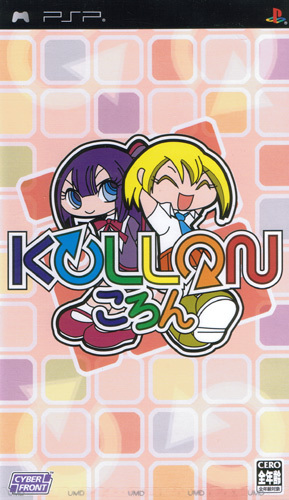 Kollon is an action puzzle game based loosely on the Tetris engine with the emphasis on quick fire rounds making for marvellous multiplayer match ups. Blocks are rotated to match colours up as additional pressure is applied from the increasing lines from below. There is a slight delay between successfully matched blocks disappearing allowing others to be quickly tagged on for the ultimate quick thinking combo. Special items such as bomb blocks are also part of the frantic equation giving rise to some immensely satisfying combo rushes. 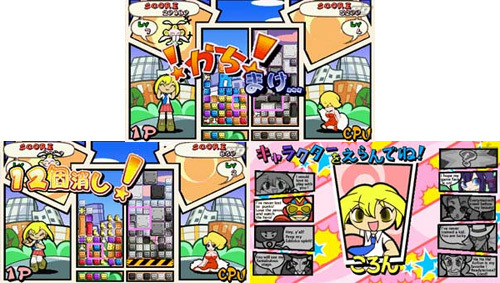 The intensity of the multiplayer matches is increased as your opponent suffers the brunt of the clearing of a row, the action dependent on which colour was cleared, such as making there cursor bigger making it tough to clear rows. 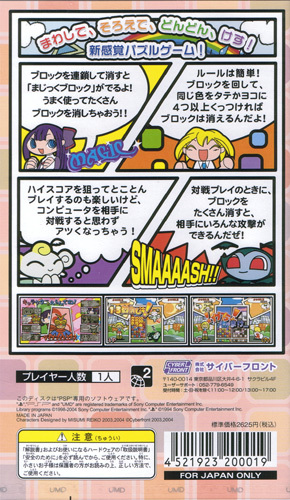 Delightfully colourful with a full range of colours bringing out the ‘gyaru�Estyling feel to the game, as do the flamboyant characters with their manic mannerisms. Also known as Ultimate Block Party.